A simple and elegant design inspired by mid-century modern lighting, the Arc Floor Lamp by Porta Romana combines a spun metal shade with the practical element of a flexible arm. The smooth metalwork and graduated arc brings a softer quality to the minimalist aesthetic. 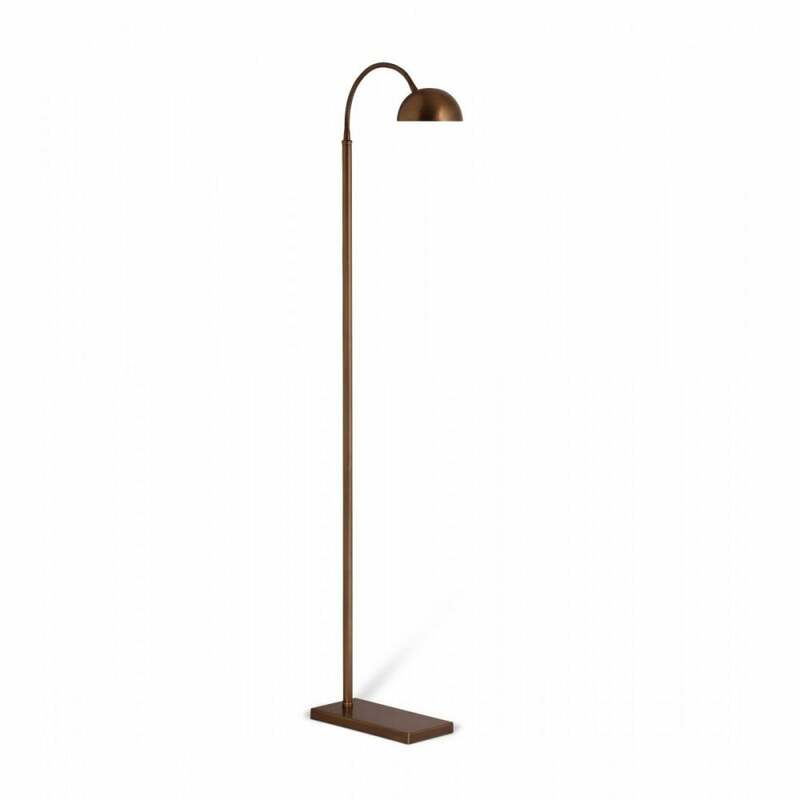 Available in either an aged gold or bronze finish, the Arc Floor Lamp will light up any reading nook or desk area where decorative lighting needs a stronger light source. Small in scale, this distinctive design is ideal for petite interiors where floor space is at a premium. Make an enquiry for more information.